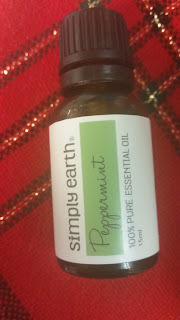 Over the last couple of weeks, I have been testing out Simply Earth Peppermint Essential Oil. Prior to receiving this product for free from Simply Earth, I'd had very little experience with essential oils. Pretty much the only time I can recall using an essential oil was with my tea light candle oil diffuser (which I love!). It used to be that when I would think of essential oils, I would think of Will Ferrell's ridiculous character from The Ladies Man. He was a Greco Roman wrestler who liked to oil himself up. It was really over the top, like most Will Ferrell characters. I loved it (though I can admit that it was not an excellent move). Can you believe that movie came out in 2000?? Man, I'm getting old. Anyway, despite Will Ferrell ridiculously rubbing oil all over his body, I can now say that I love the versatility of essential oils, and that I'm now officially a fan! The first thing I used my diffuser for was for my tea light candle diffuser. 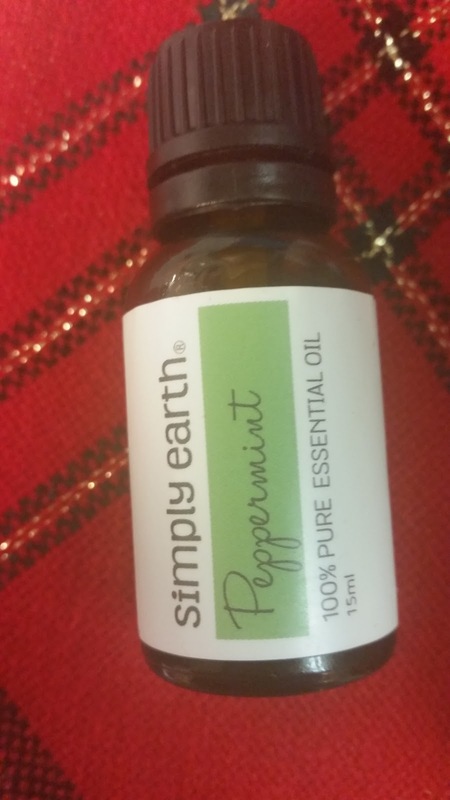 I absolutely love the smell of peppermint, and I didn't find it to be overwhelming when I mixed it with other oils. There is something about mint that always makes things smell fresh and clean, which a great quality to have if you're going to have something wafting through a room! My favorite use was as a scalp treatment. For this one, I heated up some coconut oil until it took a liquid form, added in a little castor oil, and put several drops of the peppermint essential oil in the mixture. I stirred it up with my comb, and applied it to my washed-and-conditioned hair, giving myself a nice little scalp massage in the process. The peppermint essential oil is supposed to help with a dry scalp, which definitely has a tendency to strike my head in the winter (now that it's finally really winter here). Castor oil helps with hair growth and root strengthening, and coconut oil helps moisturize your hair. Because castor oil is viscous, and peppermint essential oil can be potent, the coconut oil really helps to bring balance to the mixture. A little goes a long way, so I've been working this first batch of mixture for a week or two now! I've really noticed a change in the way my scalp feels, so it's working! 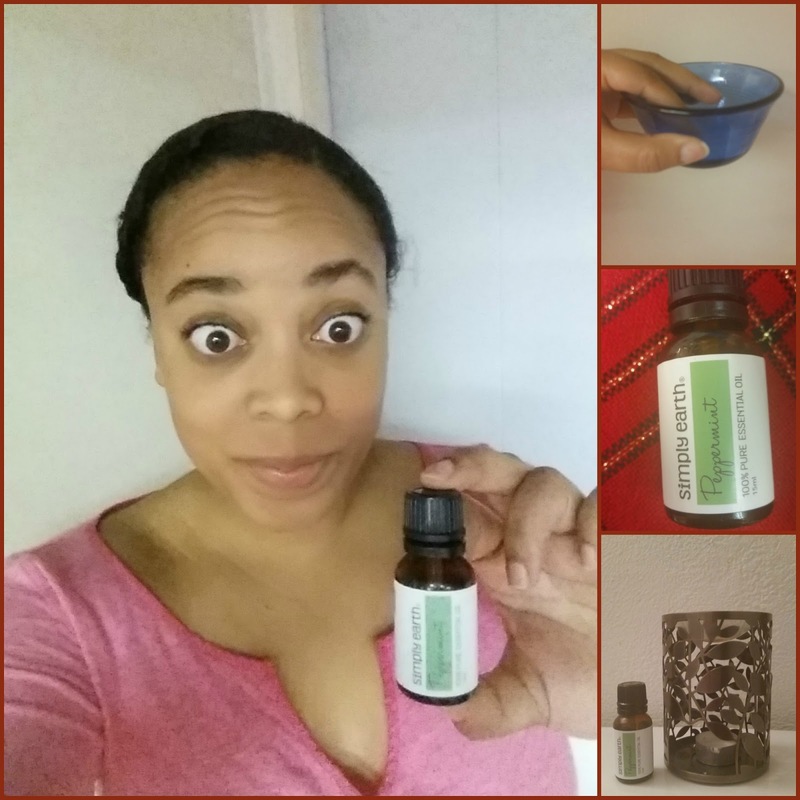 The oddest use I found for peppermint essential oil? Warding off mice, believe it or not. A cousin of mine is dealing with a mice problem in the apartment she just moved into, and was looking for a way to get rid of them. I'm, of course, a freak and had recently been reading about how mice don't like peppermint. Since this oil is 100% pure peppermint oil, I told her she could test it out and let me know if it works. Basically, she dabbed peppermint oil on cotton balls and spread them throughout her place. Enough time hasn't passed for us to know if it has started working yet, but as soon as I know, I'll be sure to share it with all of you! At the end of the day, I'm happy with my peppermint essential oil. I don't think it smells as strongly as some other folks do, and I, a lady of sensitive skin and allergic reactions, have had no weird or negative reactions from the oil being massaged into my scalp. I'm looking forward to learning more about essential oils, and how I can incorporate others into beauty routines. Have you ever used essential oils? How have you used them? What is your favorite fragrance? I only use essential oils when I get a massage which is like once every 5 years-lol!! I have heard good things about essential oils...I need to do some more research. 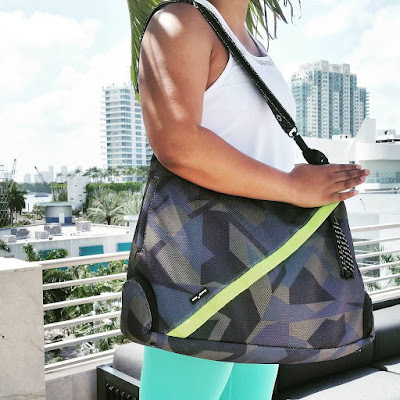 I am always looking for multipurpose fashion and accessories, and when I came across this diffuser necklace I knew I had to have it! I Love essential oil and use it everyday! Thanks for sharing the info! 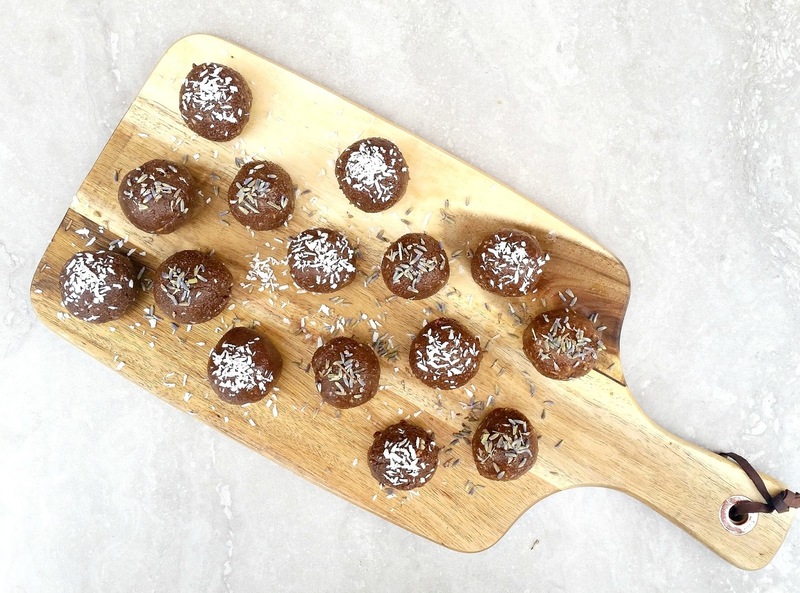 Interesting recipes for essential oil blends. I also started to get involved aromoterpiey recently.